The 2011 Ford Edge Sport is powered by a 3.7-liter Ti-VCT V-6 engine that produces 305 horsepower and is similar to the one added to the 2011 Ford Mustang. 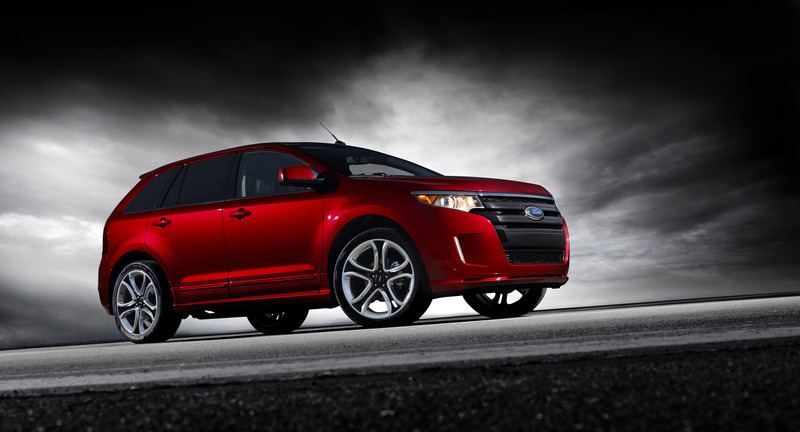 The 2011 Ford Edge Sport includes all of the content found on Ford Edge SEL as well as a specially tuned suspension, paddle shift transmission and its own unique style. The Ford Edge Sport's class-exclusive 22-inch polished aluminum wheels have distinctive Tuxedo Black spoke accents. Other unique styling cues include a Tuxedo Black grille, smoked headlamp and taillamp treatment, body-color rocker moldings, oval chrome exhaust tips, body-color door cladding and revised body-color lower front and rear fascias. Key interior differentiators are liquid silver smoke appliqués that are echoed in the silver smoke metallic leather seat inserts, aluminum pedals and class-exclusive paddle shifters, which activate the six-speed SelectShift Automatic transmission to give customers the option of a fun-to-shift manual experience. In SelectShift mode, the transmission doesn't second-guess the driver, offering total control over gear selection and performance feel. Upshifts, for instance, are not commanded at redline, and downshifts are allowed at the lowest gear possible as defined by the engine speed. 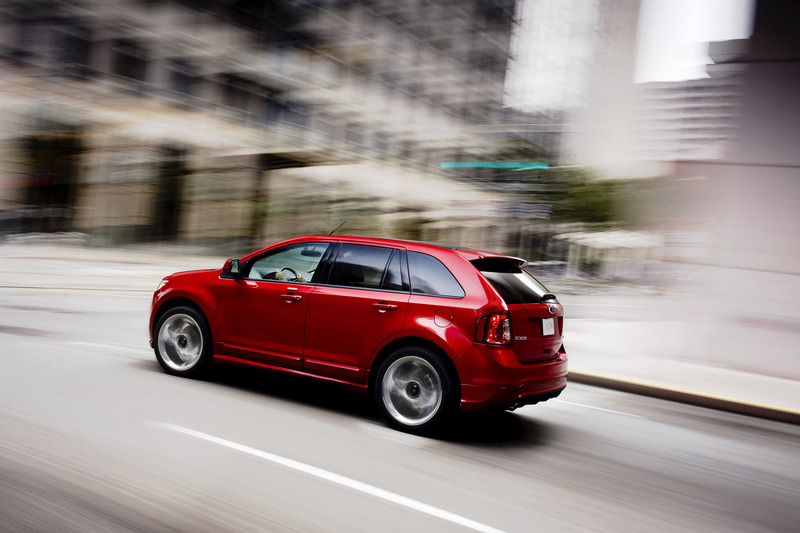 When a lower gear is selected while descending a long downhill grade, the 2011 Ford Edge Sport in SelectShift mode will hold that gear until the driver manually upshifts or returns to the fully automatic setting. To ensure safe shifting, the transmission will downshift to the lowest acceptable gear, based on a calculated maximum speed. That means if a vehicle were traveling at highway speeds, the driver could not downshift to first gear in SelectShift mode. 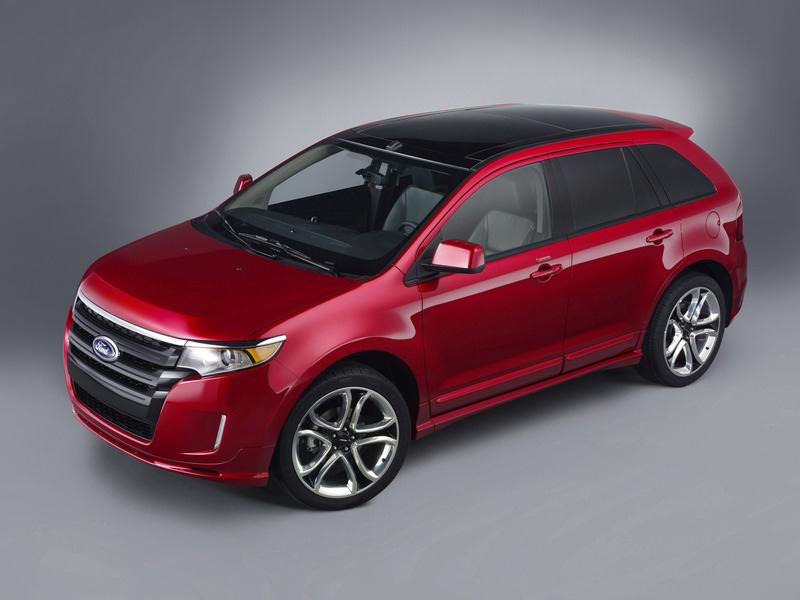 "The 2011 Ford Edge Sport, with its exceptional powertrain, specially tuned suspension and unique style, offers a driving experience not seen in other crossovers, and really appeals to the driving enthusiast," said Bannon. 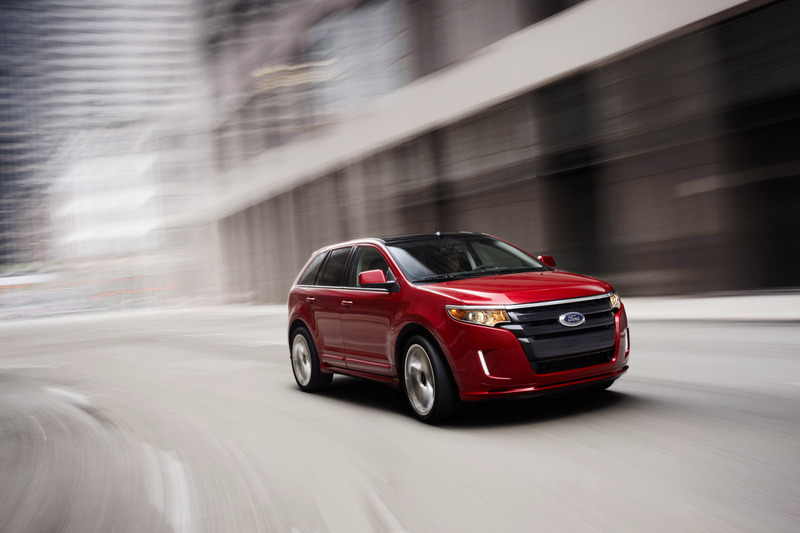 "Like the rest of the 2011 Ford Edge lineup, it perfectly blends technology and style." In addition to delivering customer-focused technology, the new Edge also showcases Ford's impressive drive to bring new powertrain options to the customer. 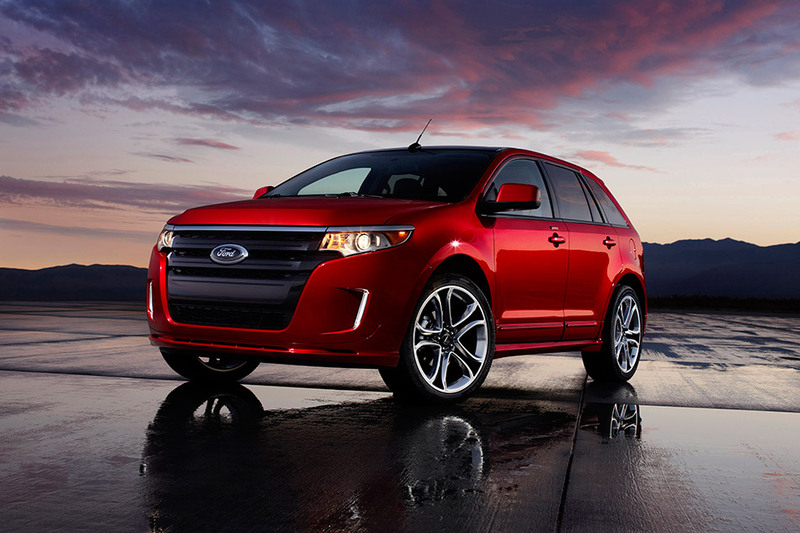 Both the Ford Edge 3.5-liter V-6 and Ford Edge Sport 3.7-liter V-6 use advanced engine valvetrain technology (Twin Independent Variable Camshaft Timing, or Ti-VCT) and clever control strategies to increase horsepower and torque to best-in-class levels. This beats competitors such as the BMW X5, Lexus RX350 and Audi Q5, all while delivering unsurpassed fuel economy of 27 mpg (3.5-liter V-6 highway). The 3.5-liter V-6 produces 285 horsepower and 253 ft.-lb. of torque while the 3.7-liter V-6 delivers 305 horsepower and 280 ft.-lb. of torque - all on regular fuel. 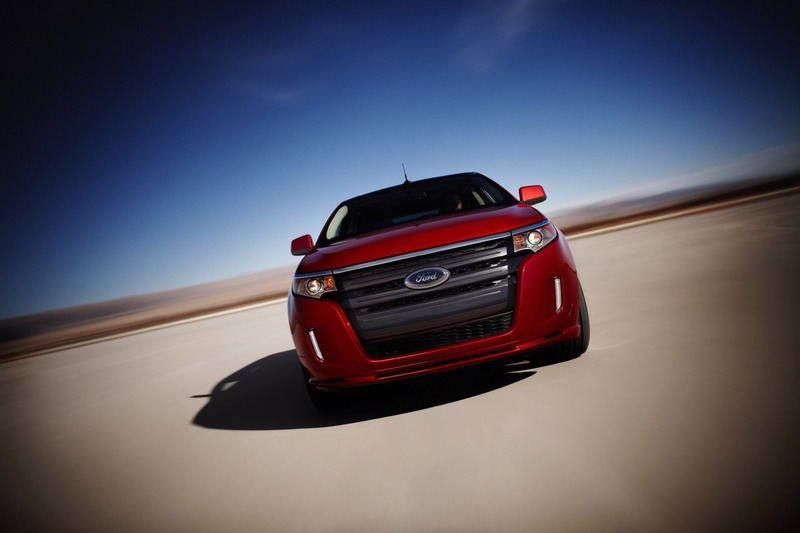 Ford Edge's unsurpassed fuel economy is not at the expense of power and performance. For example, the 3.5-liter V-6 with Ti-VCT technology delivers highway fuel economy that is 15 percent better than the Nissan Murano but produces 20 horsepower more. Both engines are mated to a six-speed automatic transmission. 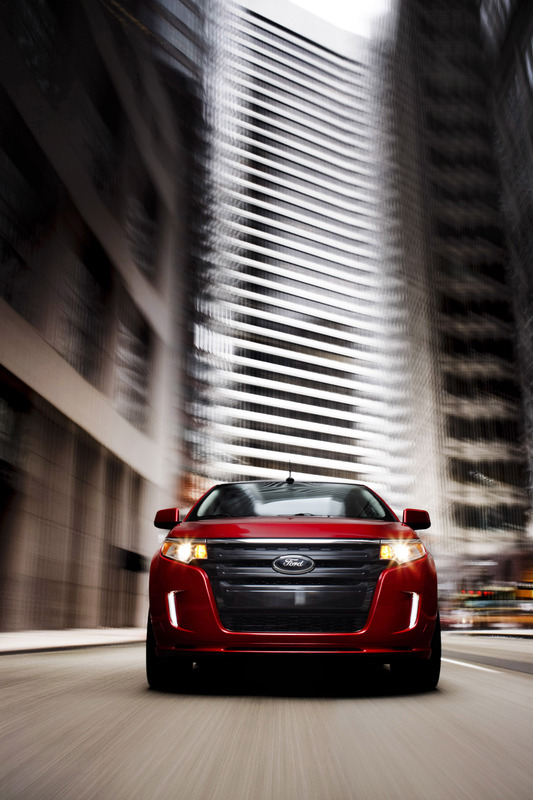 The SelectShift Automatic™ transmission is standard on the 2011 Ford Edge SEL and Limited series, with class-exclusive paddle activation of the SelectShift standard on the 2011 Ford Edge Sport. In addition, the arrival of the new 2.0-liter EcoBoost I-4 engine in the months ahead will give customers still more choice and will deliver class-leading fuel economy with impressive power and torque. The new EcoBoost I-4 will be mated to a six-speed transmission that will help channel the impressive performance from the new EcoBoost engine. With the introduction of the 2.0-liter EcoBoost I-4, fuel economy on the new Ford Edge will be 30 percent better than it was in 2006. Plus, Ford's newest EcoBoost engine will deliver on the promise of 15 percent fuel economy improvements versus the Ford Edge's current 3.5-liter V-6 engine while offering the performance feel of a six-cylinder. 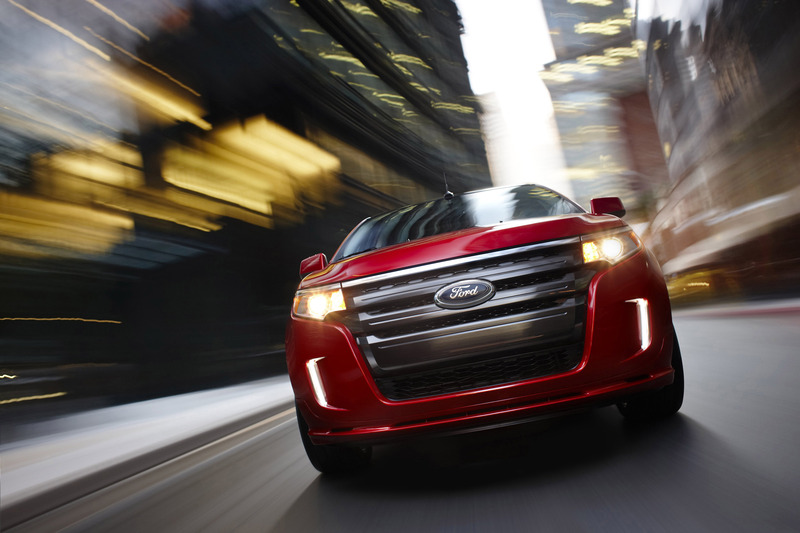 In all, the Ford Edge will go from one engine and one transmission to three powertrains - all delivering what's expected to be class-leading or unsurpassed fuel economy and class-leading power and torque for a real win-win for the customer. 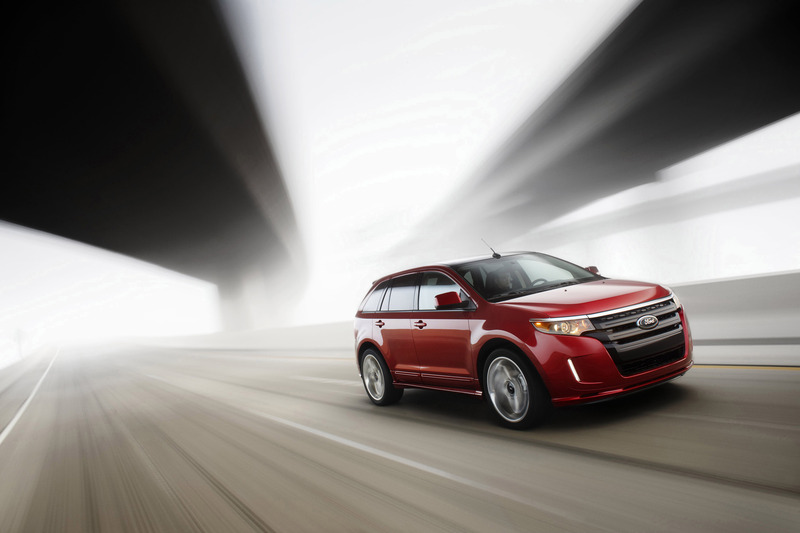 New 18-inch tires, standard on the Ford Edge SEL and Ford Edge Limited, and new wheels that are one-half inch wider than the outgoing product provide a more engaging steering feel. Twenty-inch tires with new wider wheels are optional on the Ford Edge Limited while the Ford Edge Sport has class-exclusive 22-inch wheels standard. Complementing the new tire and wheel lineup is a retuned suspension. Shocks, springs and stabilizer bars were adjusted to tighten handling. The shocks now feature a high-flow piston, which allows engineers to tune for both road loads and driving dynamics, without compromising ride for handling or vice versa. The result is a flatter response through turns and over hills while still providing a comfortable ride. The 2011 Edge offers several new brake-related features: Hill Start Assist, which reduces rollback on hills; Trailer Sway Control, which provides greater towing stability when equipped for trailer tow; Hydraulic Brake Assist, which provides greater braking force in emergency stops; and available segment-first Adaptive Cruise Control and Collision Warning with Brake Support, which helps reduce speed and automatically pre-charges brakes and engages an electronic brake assist system to help drivers stop more quickly when the system detects a collision is imminent. The original Ford Edge set numerous benchmarks in overall quietness, and that tradition continues as the 2011 Ford Edge has better wind noise than many premium vehicles such as the Lexus RX350, Audi Q5 and Acura MDX. Both the front and rear subframe mounts have been upgraded, adding to the increased tunability of the suspension and improving NVH (noise, vibration, harshness). The larger rear subframe bushing's rubber volume was increased by more than 500 percent compared with the outgoing bushings, improving the isolation between the subframe and the body, which in turn helps decrease road noise. Sound pack and acoustic glass: A more absorptive sound pack is found throughout the interior, which reduces high-frequency noise more effectively than material that acts merely as a barrier. The result is an improved articulation index, which measures how easy it is to hear and understand someone in the vehicle. The 2011 Ford Edge also features an acoustic headliner, and the microphone for the SYNC® system has been relocated so it is closer to the driver for improved voice recognition. 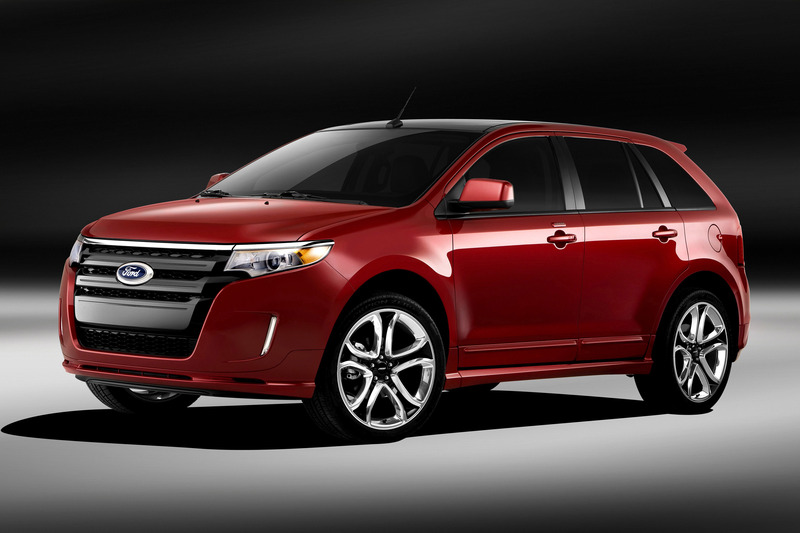 The windshield also is thicker and now acoustic-laminated on all Ford Edge models. Finally, baked-on expandable foam baffles in the fenders and D-pillars help seal out unwanted road noise. Powertrain NVH improvements: Three main actions contribute to a quieter 2011 Ford Edge from a powertrain NVH perspective. One is the more robust engine cover. The intake and exhaust systems have been completely retuned for a crisper note corresponding to Ford powertrain DNA. Finally, a "tighter" torque converter reduces engine rpm on launch and tip-in events, reducing engine noise. Aerodynamic improvements: Both the lowered front fascia and new underbody shields contribute to improved wind noise. The bolder, more seamlessly flowing exterior design freshening is mirrored by a complementary interior, characterized by increased craftsmanship, improved materials and overall better execution. 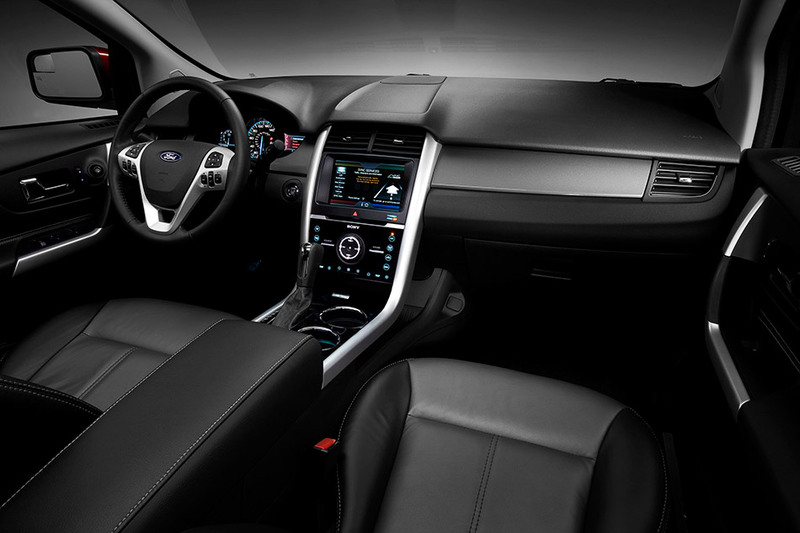 Improved fit-and-finish, softer touchpoints, and flexibility in terms of stowage in the cabin and throughout mark the 2011 Ford Edge. "To me, craftsmanship isn't just fit-and-finish," said Bannon. "It's also the layout and the ergonomic experience. It's where we put the material - the stitching, the cutlines - and all the attention to detail to give the customer a great experience." Increased presence is announced through a bolder grille and a chin spoiler that appears more crafted. The A-pillar flows into the hood, which adds subtle undulations to create a heightened sculptural quality. The wrapping lines emphasize both the front end and the new wheel lineup. The industry-first MyFord Touch driver connect technology provides a smarter, safer, simpler way to connect drivers with in-car technologies and their digital lives. It replaces traditional vehicle buttons, knobs and gauges with clear, crisp LCD screens and five-way controls like those found on cell phones and MP3 players. Standard on the 2011 Ford Edge Limited and 2011 Ford Edge Sport, the MyFord Touch system displays information using two 4.2-inch full-color LCD screens flanking an analog speedometer and an 8-inch touch-screen LCD at the top of the center stack. A five-way switch on each side of the steering wheel crossbar controls the information displayed on the corresponding instrument panel screens. The screens can be personalized to display information relevant to each individual driver using a simple button click, voice command or touch-screen tap. The steering wheel has all the necessary functions available in a very compact area, right where the driver's hand falls as he or she grabs the wheel. The five-way buttons feel familiar to anyone who has used a mobile phone or MP3 player. Also new on the 2011 Ford Edge is the world's first use of iTunes® Tagging in an available factory-installed HD Radio™ receiver. iTunes Tagging provides customers with the ability to "capture" a song they hear on the HD Radio receiver for later purchase from iTunes. With a simple push of a "TAG" button on the MyFord touch-screen display, the song information will be stored in the radio's memory. Once a song is tagged and customers dock their iPod to the SYNC system, the tagged song information will transfer to that iPod. Up to 100 tags on SYNC can be stored until the iPod is connected. When the iPod is then synced to iTunes, a playlist of tagged songs will appear. Customers then can preview, and if they desire, purchase and download tagged songs from the iTunes Store. One significant benefit of HD Radio technology is that the sound quality of the broadcast is dramatically better because of the digital transmission - FM sounds like a CD and AM sounds like today's FM broadcasts. Unlike analog broadcasts, digital broadcasts aren't susceptible to interference, fadeout and other issues. MyFord driver connect technology headlines the list of 12 class-exclusive standard and available features and technologies for the 2011 Ford Edge, joining SYNC; Easy Fuel® (standard); SecuriCode keyless entry keypad; Blind Spot Mirrors (standard); MyKey™ (standard); AdvanceTrac® with RSC (Roll Stability Control™, standard); Adaptive Cruise Control and Collision Warning with Brake Support; Cross Traffic Alert; and 22-inch wheels and paddle activation on the 2011 Ford Edge Sport. Adaptive Cruise Control and Collision Warning with Brake Support allows the driver to set the vehicle's speed and maintain it without using the accelerator pedal, and warns the driver of a potential collision risk. It also helps reduce speed and automatically pre-charges brakes and engages an electronic brake assist system to help drivers stop more quickly when the system detects a collision is imminent. Blind Spot Information System (BLIS®) with Cross Traffic Alert is a feature that can help detect vehicles in blind spots during normal driving and traffic approaching from the sides when reversing out of parking spots. MyKey is designed to allow parents to encourage teenagers to drive safely and more fuel efficiently, and increase seat belt usage. The standard MyKey feature allows owners to designate keys that can limit the vehicle's top speed and audio volume. 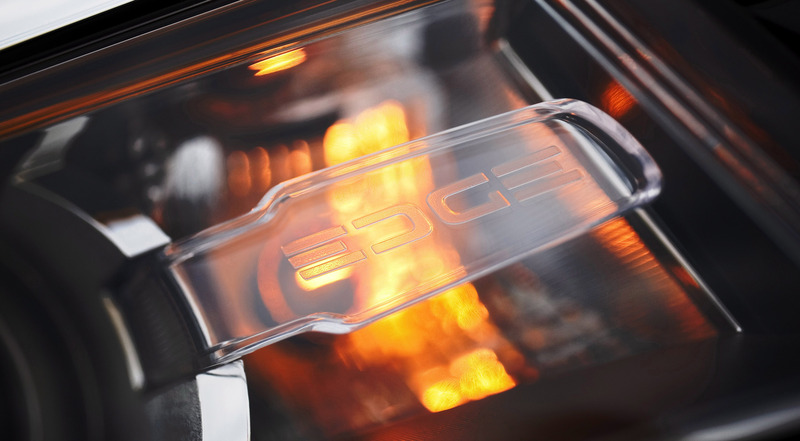 Easy Fuel Capless Fuel-Filler System is a standard Ford-exclusive feature that uses an integrated spring-loaded flapper door to eliminate the need for a fuel tank screw cap. "You can jump in the 2011 Ford Edge and bring your technology - your lifestyle - with you and have everything at your fingertips," said Bannon. 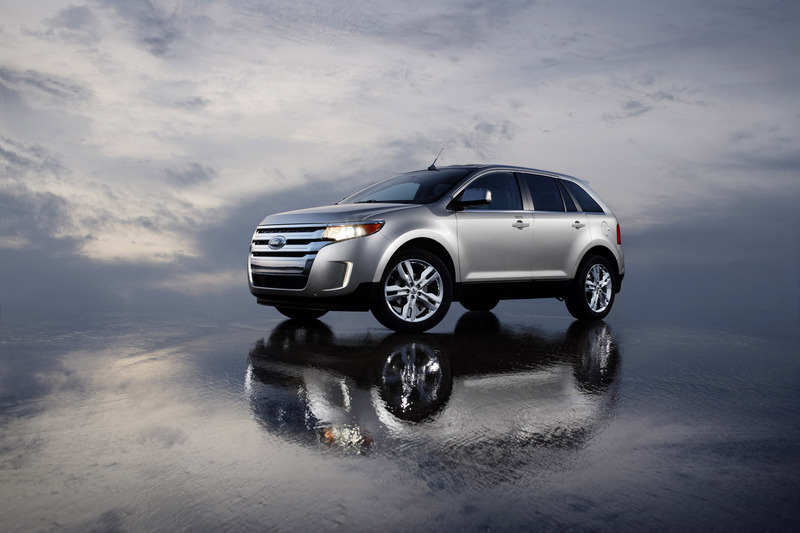 "The 2011 Ford Edge gives you all the capability and flexibility you want along with great style." The 2011 Ford Edge will be built at Oakville Assembly Complex in Ontario, Canada, and will be available in dealers from the summer of 2010.